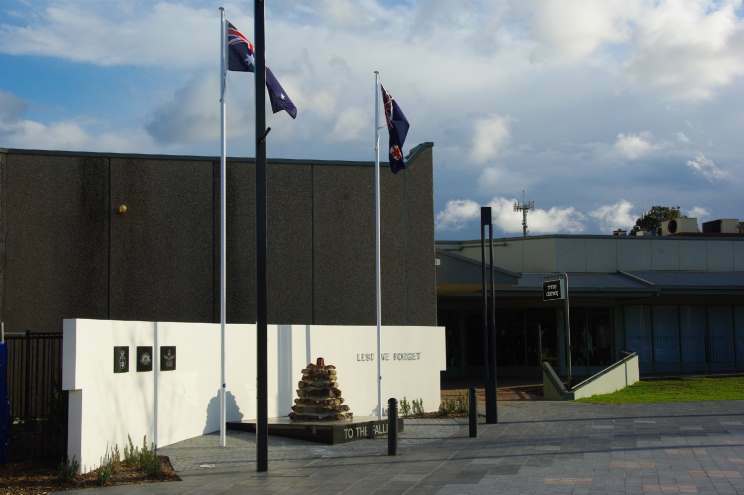 The Engadine War Memorial is located in the Engadine Community Plaza in the southern suburbs of Sydney and is dedicated to veterans from all wars. 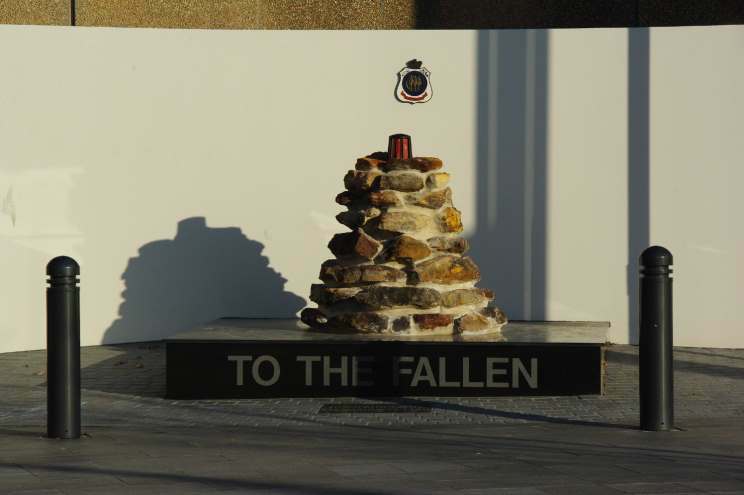 Mounted on a arced wall behind the eternal flame representation are plaques representing the Royal Australian Navy, the Australian Army and the Royal Australian Air Force. The logo of the Returned Service League (RSL) is also mounted on this wall. The memorial was relocated to this site in 2010. 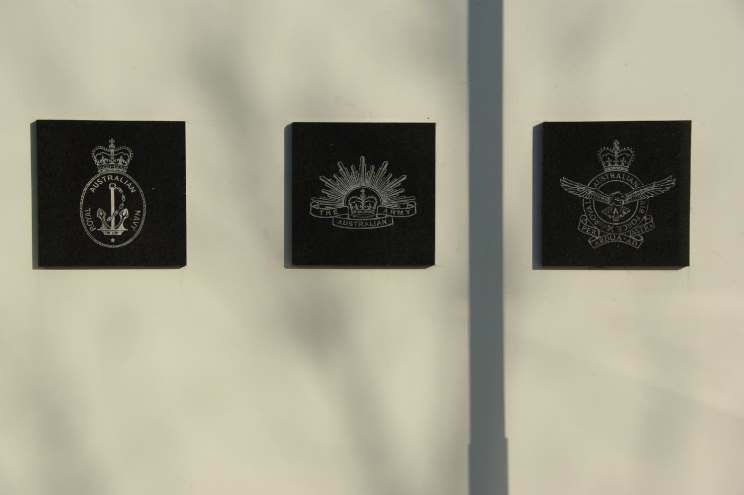 The plaques for the Royal Australian Navy (left), The Australian Army (center) and the Royal Australian Air Force (right). The eternal flame representation with the Returned Service League (RSL) plaque in the background.